Band Supplies - Plan Ahead! Bob Lust, our Music Arts Center representative stops by weekly to tend to repairs and supply needs. 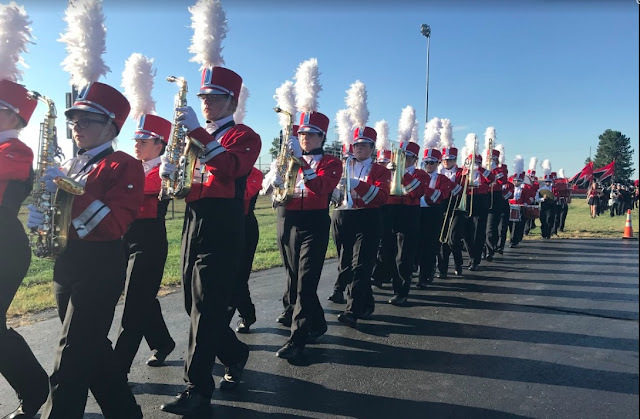 All band members in grades 6-12 are responsible for providing their own supplies, including reeds, valve oil, and cleaning materials. If you are in Columbus, you can stop by one of their stores, or by any reputable music dealer and get these supplies. They are also available online at musicarts.com and Woodwind/Brasswind (wwbw.com). If you would like to order through Bob and pay by check or cash, please download the form below, fill it out, and return with payment to Mr. Keller by Monday of each week. Check is preferred, but cash is accepted, just be sure to put the cash in an envelope and staple it to the order form. If you have any questions, do not hesitate to contact me. If you need further information, or need to inquire about an instrument rental or purchase, you can always contact Bob directly at blust@musicarts.com.